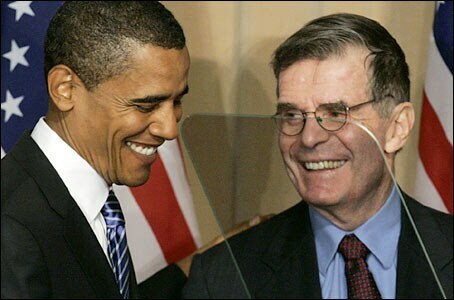 I was so saddened to learn that Ted Sorensen passed away. I got to know Ted after he endorsed my campaign early on. He was just as I hoped he’d be — just as quick-witted, just as serious of purpose, just as determined to keep America true to our highest ideals. From his early days desegregating a Nebraska pool to his central role electing and advising President Kennedy to his later years as an international lawyer and advocate, Ted lived an extraordinary life that made our country — and our world — more equal, more just, and more secure. Generations of Americans entered public service aspiring to follow in his footsteps. Even as I mourn his loss, I know his legacy will live on in the words he wrote, the causes he advanced, and the hearts of anyone who is inspired by the promise of a new frontier. My heart goes out to his wife Gillian, his daughter Juliet, his sons, Eric, Stephen, and Philip, and the entire Sorensen family.